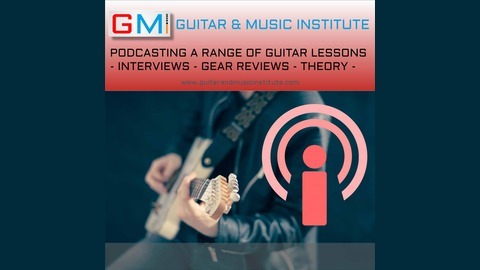 Podcast from GMI – Guitar And Music Institute including guitarist interviews, guitar lessons, guitar tips, guitar gear and more. Jamie Akers Has Realised A Dazzling Career As A Multi-Instrumentalist Of Historical Stringed Instruments Including Early 19th Century Guitars, Lutes and The Amazing Theorbo. Ged Brockie Of GMI Find Out More About This Fascinating Musician & His Instruments. Jamie in action with the Theorbo. Note, the instruments goes higher than the top of the image! Once the instrument of choice for those with plucked string leaning, the Lute is now a distant second to the guitar in terms of popularity. This is unfortunate as it's beautiful sound and aesthetic should mean that it gets a lot more attention than it does. Jamie Akers has worked with just about every major orchestra in the UK, recorded for film, taught across Europe and performed at some of the most prestigious venues in the UK and beyond. Ged Brockie delves into, or at least talks about medieval instruments and later examples of stringed instrument history with Jamie as well as questioning him about the an instrument that he owns which you can see in the above image which is called the Theorbo. DO YOU HAVE ALEXA? ASK ALEXA TO PLAY THE GMI PODCAST Simply say “Alexa, open G. M. I. Guitar Music Institute” or “Alexa, start G. M. I. Guitar Music Institute" and you'll immediately be taken to the GMI podcast. You can find out all about the other commands by following the link from GMI - Guitar & Music Institute on ALEXA. If you enjoy the GMI podcasts then please leave a five star on our GoVocal link. GET 15% OF ALL GMI PRODUCTS AT OUR ONLINE STORE As a listener of our podcast we offer you 15% of any and all of our products found on the GMI Guitar Store. Visit our store by clicking the link, choose the products you wish and on checkout look for the COUPON CODE area. Add this code "GMI01" (no parenthesis!) and you will receive 15% of the total price of your entire order. Podcast Ep 38 – Table Of Contents 2.22 Exactly what is it that Jamie does?4.21 Discussion about the Theorbo.11.57 The other instruments that Jamie plays including his many Lutes. 24.47 Performing at Festivals around Europe.25.55 The role of early music instruments regarding accompaniment for singers.28.49 Recording for Hollywood films scores.39.57 Teaching at home and abroad. Video Material A selection of Jamie's performances from Youtube Another example of Jamie in performance. Links To Jamie's Website & Youtube Channel Learn more about Jamie's musical work by following these links. Jamie Akers' website at Jamie Akers. Watch, listen and enjoy Jamie's performances on the Jamie Akers Youtube channel. Thanks for listening to our latest podcast, we have another lined up and it will be appearing soon. 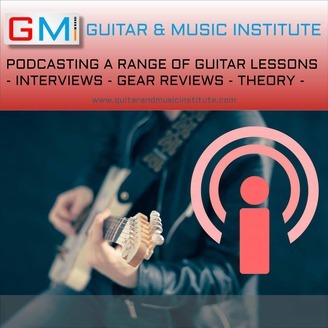 If you enjoyed this podcast, then please check out all our other GMI - Guitar and Music Institute podcasts.